The spectre of a No Deal Brexit has faded somewhat, with the EU giving us an extension until Halloween. Halloween. Someone in the EU has a sense of humour. I’m still going to grow my ‘Brexit’ garden this year; who knows, perhaps I can gather everything safely in, before the Brexit storms begin again. I am currently working on my second zine (missed the first one? read all about it here), but in the meantime I have contributed a couple of pages to a collaborative zine project called ‘Hex It! An Anti-Brexit Zine’. 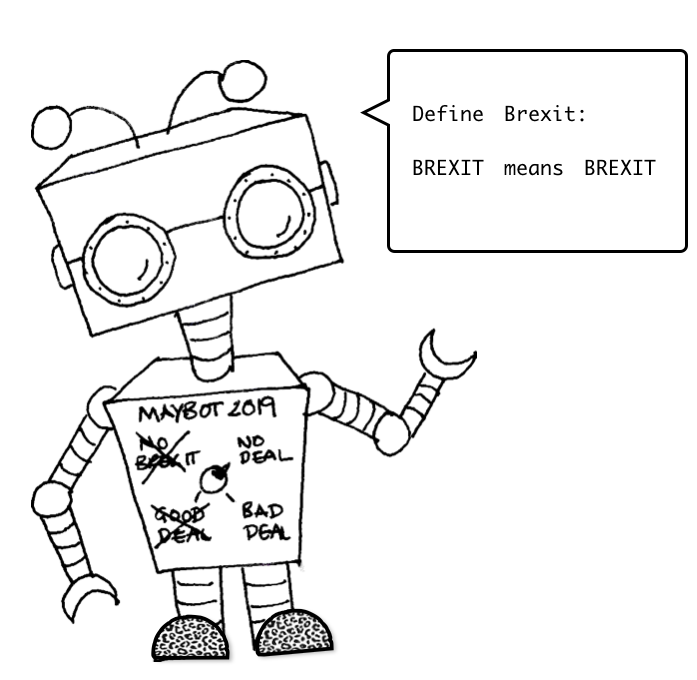 I created two illustrations to go with my text – the first is my Maybot 2019, a malfunctioning, but sartorially-slippered robot. The other is a person who trumpets ‘Project Fear’ a lot (and then witters on about how wonderful things were during The War, despite having been a small child during the war years, or not born at all). And Hex It! 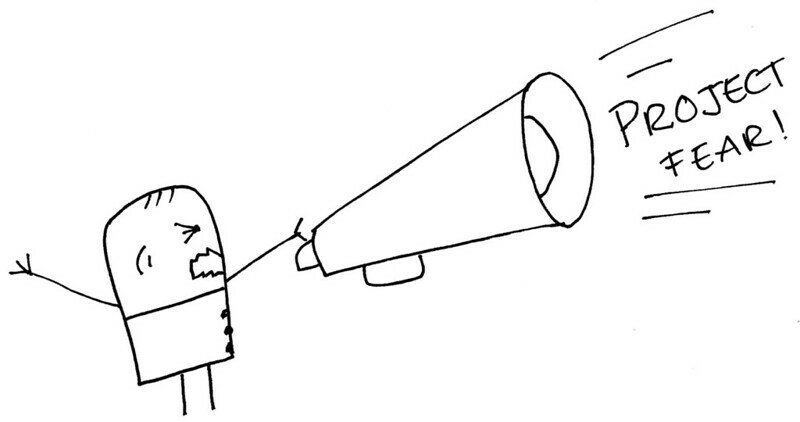 is now available in hard copy or PDF download via Etsy. “With contributions from nine different artists and writers in the UK and the EU, the zine contains essays, poetry, spells and illustration on the subject of Brexit. It is a zine of anger and despair, hope and magic.